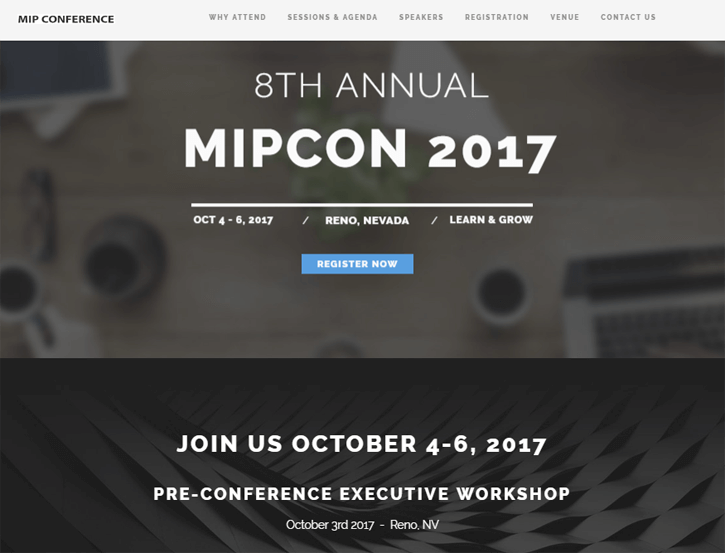 We’re excited to announce the recent launch of a specialized website dedicated to MIPCon, the annual MIP User Conference hosted by NP Solutions, Inc. Taking place in Reno, NV and scheduled for October 4th through 7th of 2017, this year marks the 8th annual conference. Bill O’Brien, Business Developement at NP Solutions, says that MIPCon has been growing steadily since it launched 8 years ago and it was time for this popular MIP Fund Accounting user conference to get the online prominence it deserves. “In years past, we’d just pop a single page up on our existing website with a bit of info and agenda. But with the continued growth in popularity of MIPCon over the years, we felt the conference now needed its own dedicated website to properly and prominently display the breadth and range of learning sessions, speakers, and hands-on workshops that MIPCon delivers,” he says. The new MIPCon website features a modern and mobile-friendly design that’s easy to navigate while you explore what the conference has to offer. 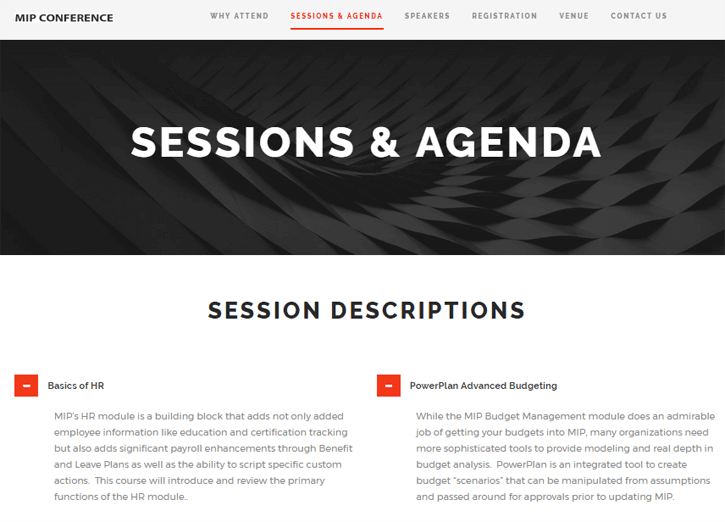 Information on the website includes an agenda, detailed session descriptions, speaker bios, location details with hotel reservation booking, conference pricing, registration, FAQs, and testimonials from MIP Fund Accounting customers that have attended in years past. When it came to leading the website design project and building out the MIPCon website, Bill turned to Juice Marketing. If you’re considering a website redesign, take a look at our web design program. When you chose Juice Marketing, you get more than just a pretty new website. Because we specialize in working with ERP and accounting software resellers, we understand the technology buying process and create websites that attract and convert prospects into customers.